A place where old stands next to new, Rome, or the Eternal City, is the largest city in Italy and a haven for history lovers. Situated in the Lazio region on the banks of the River Tiber, Rome enjoys a Mediterranean climate and boasts an impressive number of ancient monuments and ruins. Access can be tricky in places and the roads a little daunting to cross, but good public transport systems and a growing awareness of accessibility around the city makes getting around easier. Don’t forget to ensure your return to Rome with a coin in the city’s famous Trevi Fountain! Barcelo Aran Mantegna is a large modern hotel in the south of Rome. It was reviewed by one visitor who described it as a ‘superb, large, modern and well appointed’ hotel that has ‘excellent access throughout’ for wheelchair users’. Italy is famous for its food, and Rome is no exception. 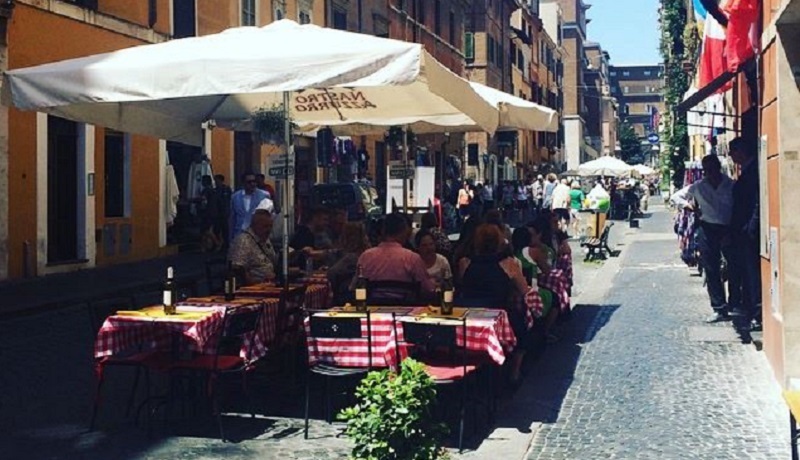 Osterias and pizzerias line the narrow streets and wide open squares of the city, all but a few offering outdoor seating with fans dusting cool water over diners. You may find that you seldom go inside any of these restaurants, as table service on the street is so good at Roman eateries. 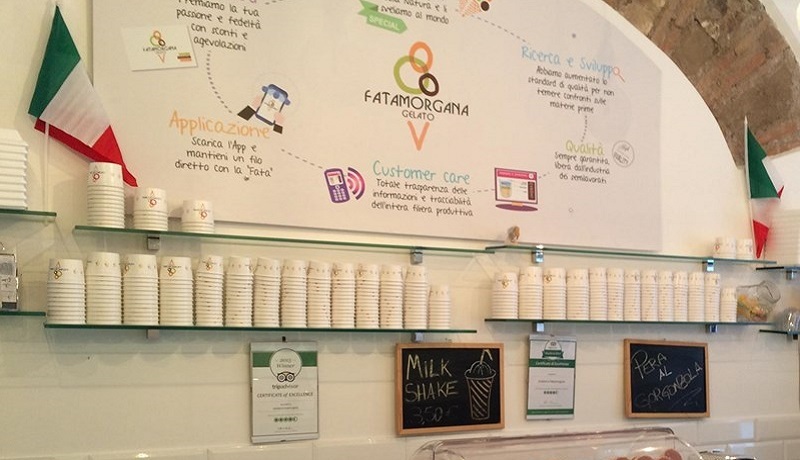 Try Campo de’ Fiori or Piazza Navona, two squares packed full of Italian restaurants. For hidden gems, venture over to Trastevere or out to Pigneto for greater diversity. If you’d rather cook something yourself, Rome is bursting with fresh ingredients from the Lazio countryside! 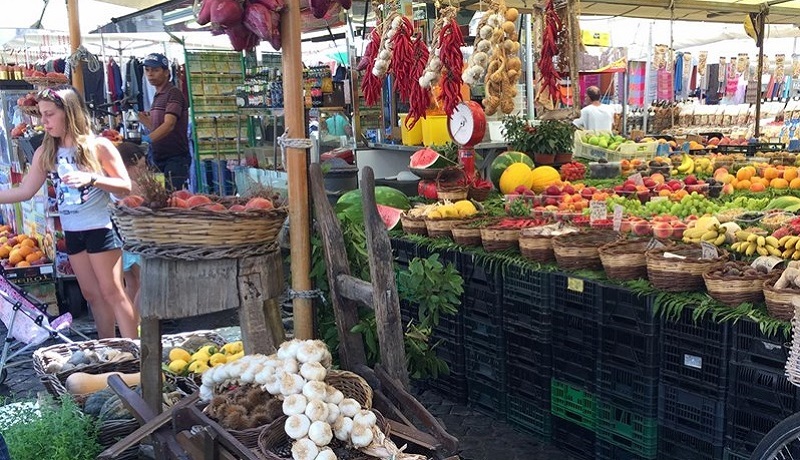 Explore one of the many markets around the city, such as the stalls at Campo De’ Fiori (market by day, restaurants by night), or the vegetable market in Pigneto. The Pigneto market has been rated 4 stars by one visitor who said ‘the best part is, there’s barely a cobblestone in sight!’. Look out for the colourful wall murals around this neighbourhood which can be accessed by Metro. Many of our reviewers have wrote about how accessible they have found the buses to be in Rome. Another has told us about the efficient Metro, and the anticipation of the new Line C which will have wheelchair access to every station on the line. Public transport is important in this cobbled and ancient city, so it is worth getting a hang of it early on in your trip! 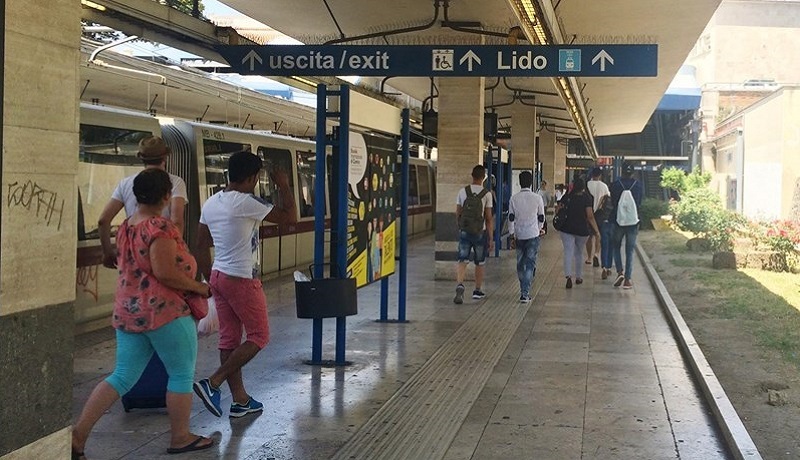 Read reviews of Rome’s transport hubs here. Many of the best places to view the Roman rooftops are at the top of a flight of old stairs, but Parco Del Gianicolo is a large green space in the city that offers a dusty red and leafy green panorama of Rome, without the uneven steps to negotiate. One visitor wrote ‘it’s a nice place to see views of the city without having to climb stairs to the top on an old monument.’ This reviewer also wrote that visitors should be aware that some parts of the climb may involve walking on small stretches of quiet road. A feature unique to Rome is the existence of a different country within the city borders. The Vatican City is a major Christian pilgrimage site, and has been since the Middle Ages. 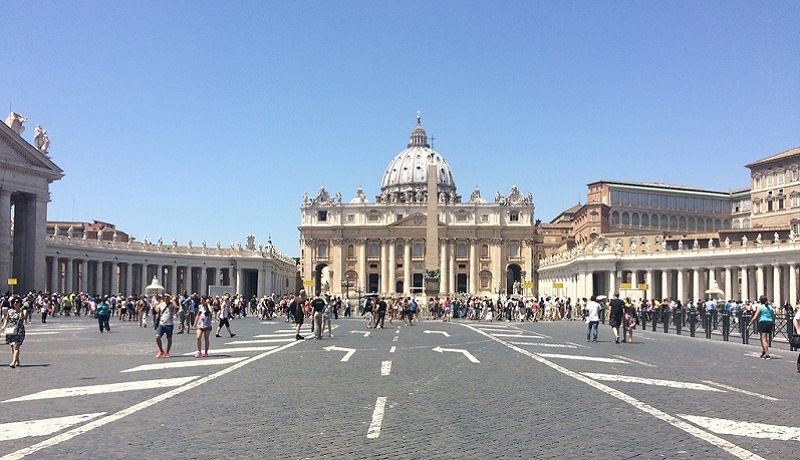 Visitor numbers soar around Easter as Vatican pilgrims come to the seat of the papacy. One reviewer wrote about The Vatican saying ‘there is a lift up to The Basilica and a ramp into it.’ Be aware that a dress code is in place for many of the religious buildings in Rome and the Vatican City. 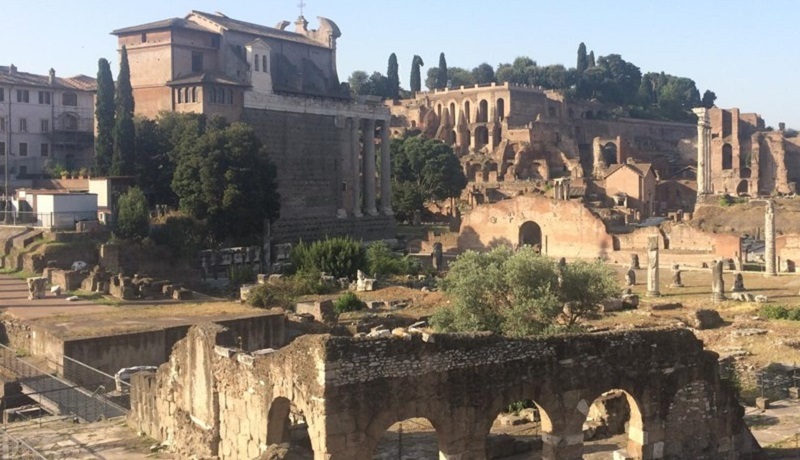 ‘Rome is an old city so there are clearly some places that have not been adapted, but we had no issues at all and have been back three times!’ – Euan’s Guide reviewer, 2014.